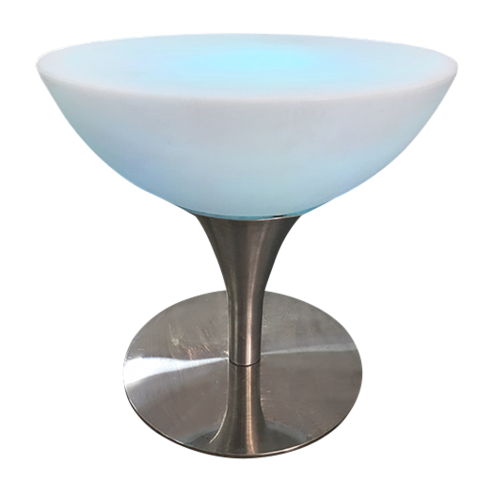 LED Chrome Round Lounge Table 32"x22"
LED Chrome Round Lounge Table is 32"wide x 22"tall. Includes control to set up colors from strobe, flash, slow or set a single color. 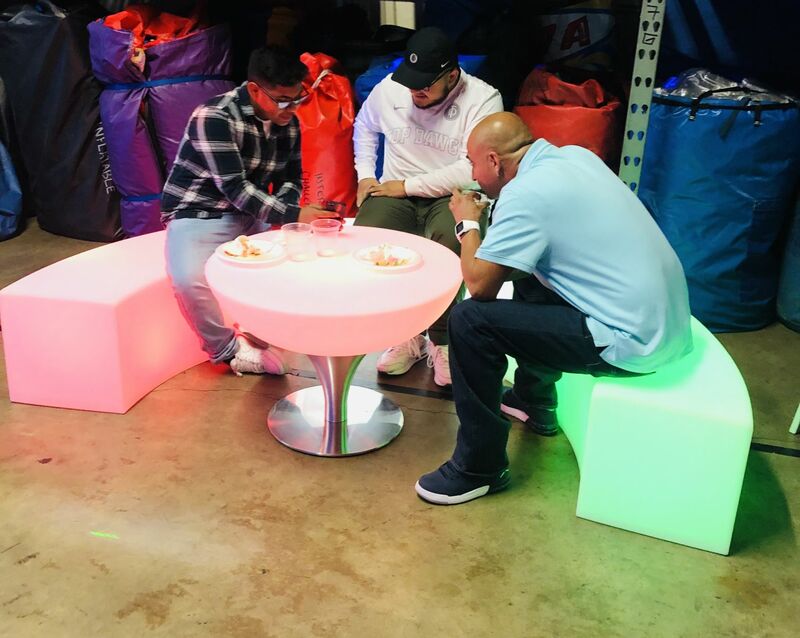 This table is great for any type LED Curved Bench or LED cube seats. The LED Chrome Round Lounge Table is wireless and will last up to 8 hours on a full charge. Rental comes fully charged ready to use. Set up not included, but available for an extra fee. We highly recommend adding the damage waiver for this rental.